International bicycle trade fair, held annually in the first week of September, on the grounds of Messe Friedrichshafe. EUROBIKE is the undisputed leading global trade show for the bike business. This is where the bike industry gets networked, wins over its trading partners and presents itself to the media. The Eurobike 2019 will be held from 04 to 07 September, Messe Friedrichshafen, Germany. Why exhibit and attend at Eurobike 2019 Friedrichshafen? EUROBIKE continually generates additional benefits for the industry and trade, achieving the balancing act between trade show and think tank. It is the marketplace where everyone comes together, which receives huge media coverage, and which is recognized by the political world. 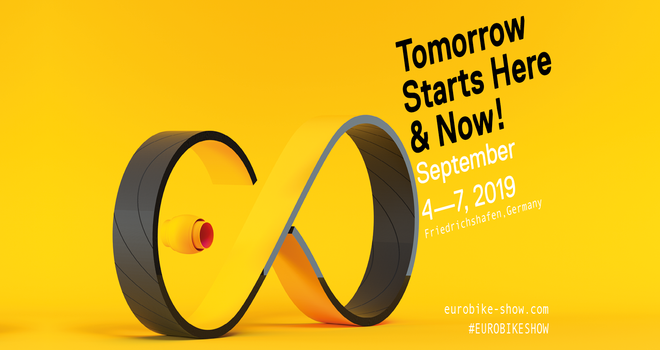 Be a part of EUROBIKE – and help shape the future of the bicycle industry! Looking to exhibit in Friedrichshafen? We are your full service, exhibition stand builder worldwide. For exhibition stand design and construction at Eurobike, please contact our sales team.